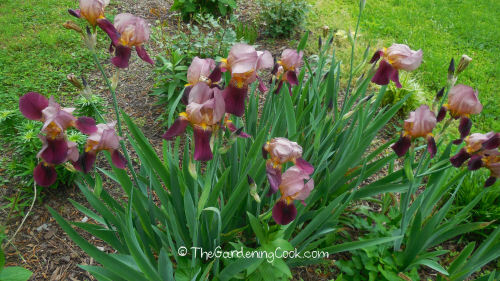 Iris is one my favorite flowers when it comes to growing perennials. I remember that my mother used to have them in all her garden beds, and when I see them now, I get very nostalgic. 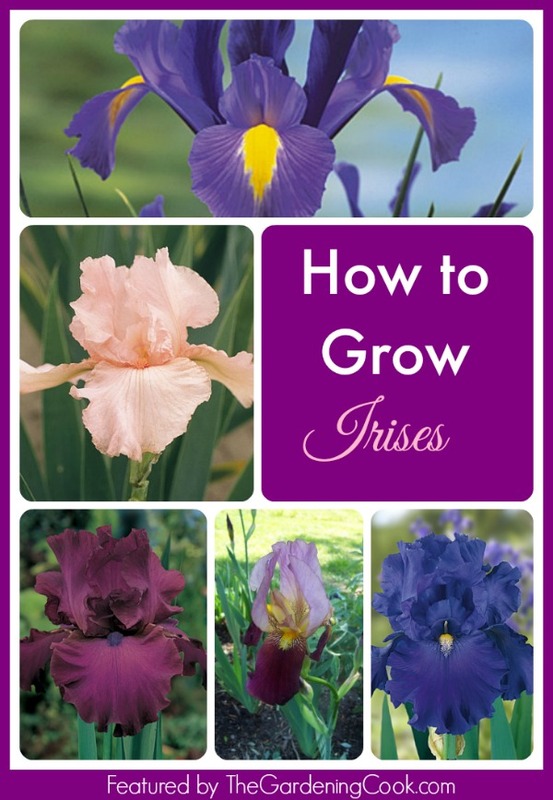 Iris – Easy to Grow Perennial Rhizome is one of my Favorites. 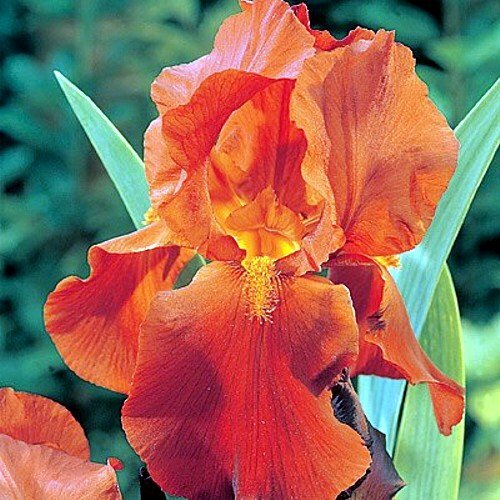 What I love most about irises is the color they, and other early spring bloomers, bring to my garden. Many people consider irises bulbs but they are in fact rhizomes. A rhizome is a horizontal stem, usually under the ground that sends out roots and shoots from the nodes that form on it. They are also called root stalks. 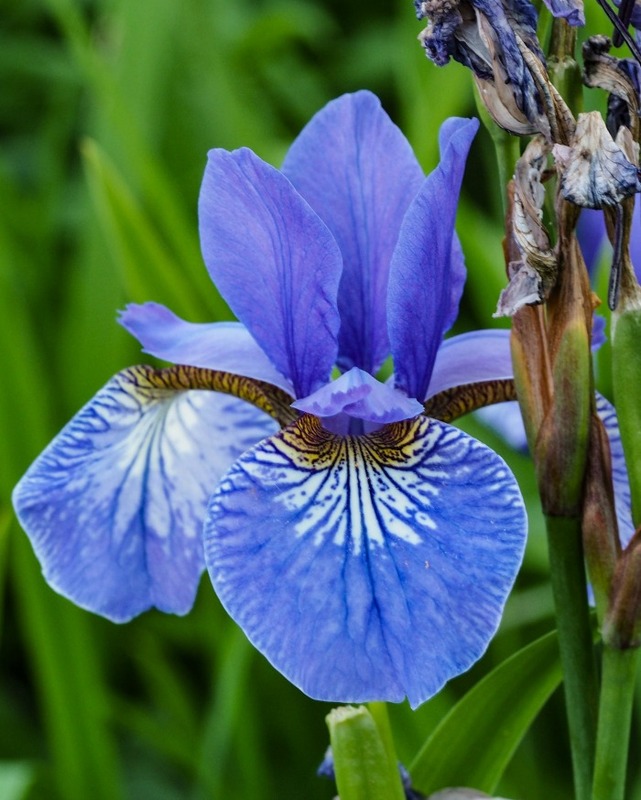 Irises are easy to grow if you keep a few basics in mind. They are quite drought-tolerant and normally very low maintenance. I have some in my garden beds here in North Carolina and they never seem to fail to appear in the spring. The plant has beautiful large flowers in the spring. It can also surprise the gardener by occasionally blooming again in the fall if conditions are right which is a delightful treat. The rhizome is hardy from zones 4 through 8 and can take either full or part sun. They are not particular about soil and will tolerate anything from sandy to loamy. Colors of the flowers vary but common ones are purple. You can get them in pink, orange, yellow, blue and even multi color varieties. Don’t use high nitrogen fertilizers to the surface and be careful about careless mulching which can encourage rhizome rot. The rhizomes should be kept exposed. They need a bit of sun and air to dry them out and will rot easily if they are covered with soil or crowded. Don’t trim the leaves. These are needed to carry the photosynthesis for next year’s growth. Cut off brown tips though—and cut the flowering stalk down to the rhizome to discourage rot. Divide after 2 to 5 years when the clumps get crowded. Do this soon after bloom and then transplant to places where the roots will be moist but the top quite dry. Here is one of my bearded irises in full bloom. These were planted by an old well casing a few years ago and I transplanted them. They are gorgeous now. 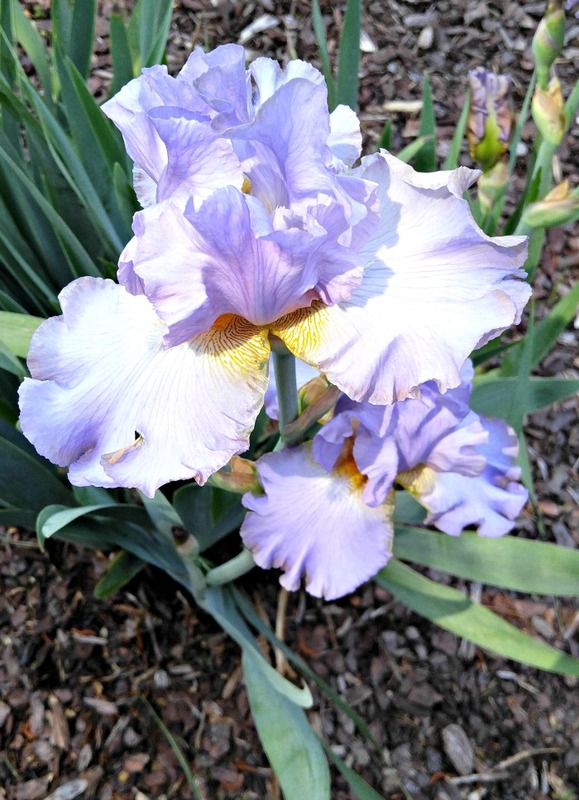 Here are a few photos of pretty irises in bloom. The images show the range of colors available. This beauty is for the purple lovers! It’s called Ozark Rebounder. Zones 3-11, Blooms in both sping and fall in zones 5-10. It will attract hummingbirds and butterflies too. 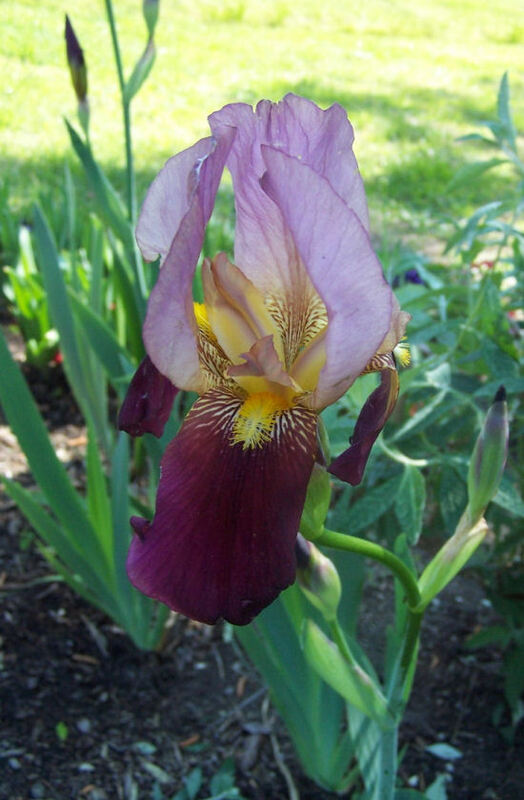 This lilac bearded iris has a bright yellow throat. I have it growing in the sunniest part of my garden but may move it in the fall. It re-blooms through the summer but the hot sun here in NC is damaging the foliage from the heat. 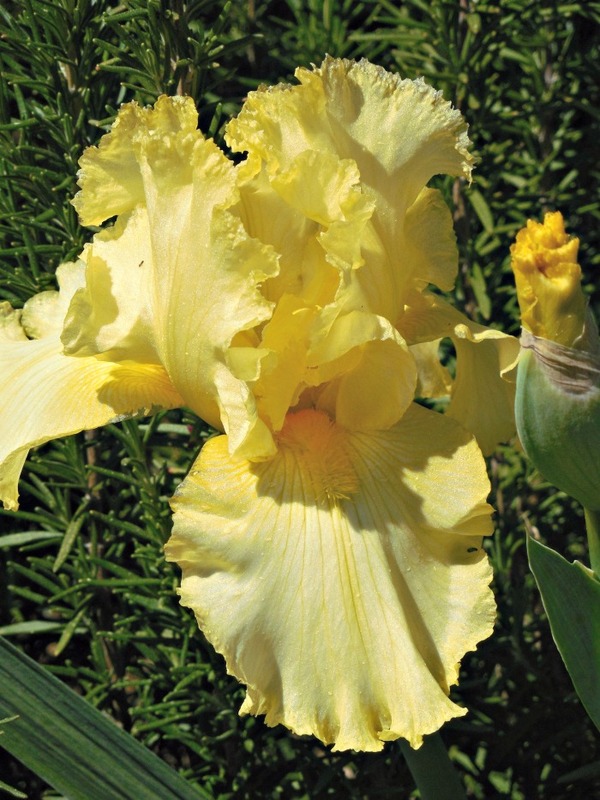 Magnificent frilly yellow bearded iris just screams summer with its vibrant color. Blue flowers are a rarity in the garden. I love the tiger striped throat of this re-bloomer! This pretty bloomer is called Sapphire Beauty. The deep yellow throat looks amazing on the purple petals. It blooms in summer and is deer resistant. Princess of Corinth is a pretty pale peach re-bloomer that is deliciously fragrant. It is hardy in zones 3-11 and will re-bloom in the summer/fall in zones 5-10. Orange Harvest does the name justice! The colors practically scream fall! It blooms spring, early summer and fall. This one can take sun or part sun and is drought tolerant. Aren’t mine lovely? They formed big clumps this year. See more photos of them here. For more gardening pictures please Visit my Facebook page. Where did the iris bulbs in Iris2 and Iris3 photo come from? Are they Photoshopped or is that their true color? I would like to find out more on them. Not sure on photo shopping of them. Images came from Pinterest. Second one has a Tumblr source just below it. Sorry for the long wait. I really appreciate these photos and the variations in the plant itself. Iris are not grown from a bulb. They are a rhizome. Thank you. Hi Jennifer/ Thanks for pointing that out. I’ve adjusted the wording on the article slightly. My neighbor gave me many rhizomes to plant and I have never really planted anything. But have been reading some info and on a bulb planting guide it says you should plant them 5 inches deep and then I see that the rhizomes should be partly exposed to the sun . Could you please give me some tips on planting these future beauties? 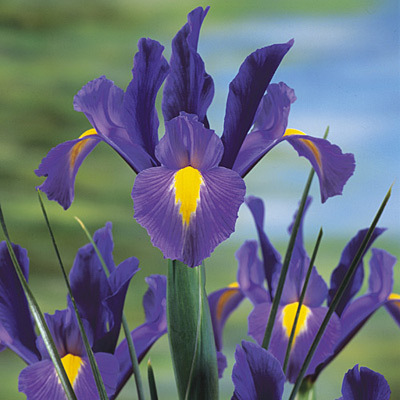 They are the small deep purple Iris with yellow down the middle of the petal. I have an area that will get full sun if I plant them there and then I want to plant some in part sun , as I have read either is fine. Thanks so much for your time. Hi Heather. My experience is that the Irises are very forgiving. I had some growing near a well that got full sun and NO water and the rhizomes were exposed to the sun because of soil erosion. They flowered every year. I dug them up and planted them throughout my borders. Some get full sun, some part sun. Some have the rhizomes near the soil and others are buried deeper. All flower beautifully every year. I would cover them with several inches of soil. The ones that I did that with are growing the best and multiplying each year. 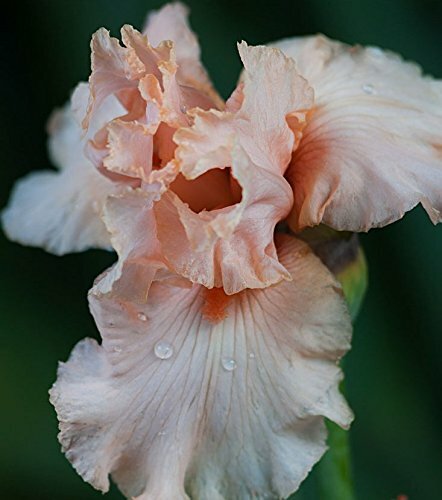 I agree with Carol for most of 90% of her comments & the rest might score 100% depending upon where she lives in the US or other countries – which all grow healthy irises. 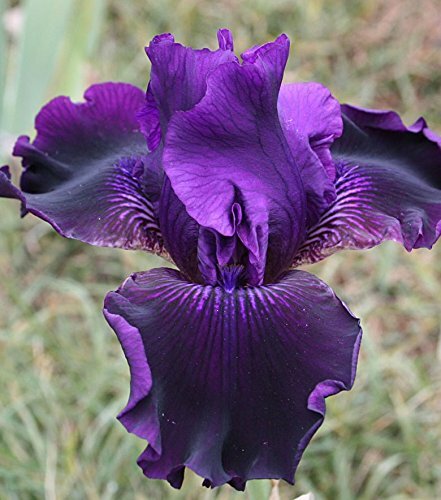 Hello Carol, I really appreciate your tips on irises, and the pictures are lovely. I am a painter and have been painting mostly irises lately. I have saved some of those you posted here to use as reference material in future. THANK YOU! I live in Michigan. When is the best time to plant the rhizomes? How long before they will grow and bloom? Is it ok to put natural mulch or rubber mulch over them in the flower bed? Thank you, I’ve been trying to grow Irises for a long time and I have had no luck. I would maybe get one bloom but these were from re plants so I would like to try from the rhizomes.